Planning for a restoration project takes time and it needs to be looked at just like a job. The reason being that if it is not done right it sure can cost you a year’s wages. There are a multitude of experts and professionals out there to help you through the process. The nature of the project and the intended occupants guides the layers of peer professionals appropriate for the work. A bridge, school, or hurricane shelter are all going to have different levels of complication, but all are designed primarily to make a better quality of life for the occupants by providing shelter from the elements. The more complicated the design, the greater the need for individual, site-specific licensed guidance. This can come in a few forms as ornate as an architect’s design board or a 3D model. Architects are integral in the design and functionality of the built environment and can shape spaces in ways that mere mortals do not see, myself included. If you have the coin, an architect is the first choice to design the space whether an addition or renovation. In many cases a builder will provide design-build services, and in some occasions this will save some money, but it does eliminate the checks and balances of having the design professional separate and apart from the contractor. In most every occasion, when structural changes are being made, the inspections office and good planning requires the use of a PE (Professional Engineer), or structural engineer. Engineers are licensed and trained to understand the load characteristics of the built environment. Typically, an architect will provide the structure portions of the drawings in cooperation with the architect, or possibly just the contractor design builder. God bless the craftsman. This should be the person that works with you to get you from here to there, ¾ of the mechanics of the process. The need to lay out a proper agreement is paramount to making a renovation work out. The best way to ruin it is to not talk about all the difficult challenges that are coming. Careful and continued conversation through the process will make for the best results. A few examples include pre-construction meetings, a well written, detailed contract that specifies working hours, parking, extra costs and how they are approved. All the eventualities of a renovation can’t be imagined at the outset but a method to address them is a good start. In many states, including Florida, North Carolina, and South Carolina, where I have licenses, residential renovations, and restorations, require a licensed contractor. In North Carolina the threshold is $30,000 before a license is necessary. Florida is more strict with some form of a license being required at $500 of value or any structure work. Search Florida DBPR for licensed businesses and individuals. These are as important as the license. The license means you can catch up with the contractor if there is a problem and in some occasions, there is some relief from homeowner’s recovery funds, but these are nickels on the dollar. What an owner needs (and a contractor needs for that matter) is a full workers’ compensation and a liability policy with completed operations. Taking on a remodel job requires that a smart owner become a certificate of insurance holder on a contractor’s policy. 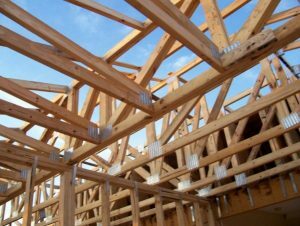 In most renovations it is expected that the homeowner will retain their policy which provides some coverage for building materials owned by the resident while stored on site. The AIA has contracts, and these will rule the day especially if there is an architect involved. These contracts do one thing especially well and that is lay out who makes the call for challenges in the work flow or quality, and who approves pay requests, credits or change orders. There is a need for certainty in any contract that gets agreed to with an allowance for what if. What ifs should include how is it going to be handled if water or the elements come into a partially finished space? Is it part of the job or is the contractor’s responsibility or does it depend on the severity of the rain and the preparedness of the contractor? Do the repairs just become a part of the job entitled to overhead & profit just like any other subcontractor? What about power bills, water or use of hoses, or use of ladders on the property? What about the bathrooms? Do not do it! Please trust me there is nothing worse than the taste of sheetrock in the morning especially if you are not being paid to be there to put it up. If you can possibly pull it off do what ever you can to get out, allow the job to go down and then return to a completed project. Toxins and molds, lead paint, nails, electrical cords. It’s just a mess. The heartache and the loss of wonder in seeing a project in some of the ugly portions is not worth any savings of the temporary relocation. If you want to build a house, then help volunteer at Habitat for Humanity. Otherwise, leave your build to the professionals. And we promise not to come into your office and start running the x-ray machine, or the toll booth, or teach class. You need to secure written calendars along with “agreed-to” schedules based on either lien releases or phases of construction. The contracts can also have allowances for special conditions, rain or possibly early completion bonus. 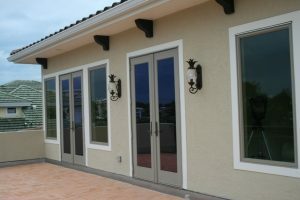 In Florida we have a NOC that is the definitive start dates of the project. The NTO is a form often forgotten… much to the despair of owners everywhere. This little document is necessary for a longer duration contractor on a job that wants to perfect or maintain and alert the owners of his or her lien rights. This notice, which sounds like a problem, should be an expected part of every well run job. It’s nothing to fear early on, just something for an owner to use as a list while they are going thru lien releases in advance of final payment. It is important to note that if a subcontractor has provided a proper notice to you the owner, and you do not confirm, they have been paid in full by the contractor before paying a contractor in full you may be in a position to have to pay the subcontractor again or double pay for the work. Pay attention to the subcontractor on your job and confirm they are getting paid. A word to the wise, unless you are on a hard cost plus contract then you do not really care what the number between the contractor and subcontractor is just as long as it obtains their lien release. Trying to reverse engineer what a contractor is making or not from one subcontractor bid will not provide an accurate picture. To that end there are lots of fallacies out there but are real contractor is making 28 % on subcontractors plus a job manager at retail. Another way to say that is contractors typically make a third to 40 % of the big number. On a $100,000 project the actual payout to subcontractors may be $60,000 including workmen’s comp but not liability. The $40,000 will be eaten up in overhead of the project, labor of the general contractor’s office, the hundreds of expenses that come from the business of contracting. If everything goes well maybe 10 or 12% may end up as well-earned profit. Draws should be based on phases of construction or accumulation of lien releases or both. It takes money to move these projects along, but most real contractors have some credit with suppliers. In many occasions these phases and draws are an opportune time for owner and contractor to discuss the project and confirm the process. In an occasion where there is an architect look to the contract. If not in advance of the issue place a paragraph that suggest a third-party representative that will have oversite authority for the parties together or individually. This could be a private inspector, or an additional professional or known contractor from the region. It is important to understand the needs for specific inspections and sometimes these are associated with the indoor environment. Mold, asbestos and lead paint are all materials that are regulated in the handling and clean up. Your local authority is a great place to start with questions about a renovation project. It is a great place to get the list of licensed contractors, and the bad actors with complaints in your city or state, it is also a good place to check the parking lot for names. The contractors and architects trade people and materialmen all know who are getting things done in your community. How final is final? Well, not very. In many states, the contractor has a responsibility to the suitability of the work that is tied to their license regardless of their contract. That is definitely the case in Florida, North and South Carolina where I do much of my hard construction. The time limits can be as few as 2 years for cosmetic or nonstructural damages to as much as 5 years or 6 for hidden damages or 10 for hidden damages associated with design. I am the case law behind the time triggers for the La. New Home Buyers Warranty Act which is a 2 year for cosmetic and 5 for structure. Final Payment should always be based on a release of all of lien from each subcontractor on the property with a special attention to the subcontractors that sent you a notice to owner. The landscape guy, or the driveway person, can be overlooked and can be missed in the mail, but a little quick checking around, or honest questions on the ground, confirm smooth sailing. The release of lien form can be for a partial or full. It is assumed the payment received is drawn on good funds. It is important to know the deadlines associated with the lien process in your jurisdiction. Read Florida statutes which give specific direction as to the lien process, filing one, and perfecting one or bonding one out. A punch list is critical to ensuring the successful completion of a project. Even if all of the items do not ever get checked off, their placement retains a value. Whether this is something you, as an owner, elect to take over in a trade or identify as credit if it does not work. This also provides a method of securing an agreement at the end of a job and release of retainage anywhere from 5 -10% held back from certain pay schedules. Not the same as a punch list. There can still certainly be defect after a punch list appears to be complete. 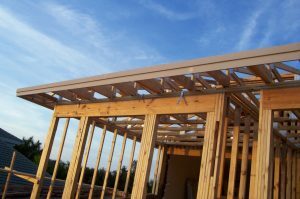 These are issues that come up after the fact by virtue a mistake, and hopefully there is some liability coverage by the general contractor or subcontractors. In every occasion careful work through the process will ensure the further review of the construction defect laws in your state. This is an issue taken state by state, and outside, of what I wish to cover in this document. I do tell you that the time it is possible to shorten the time period of state required responsibility based on how soon a person can be documented as knowing or should have known about a problem. If an expert tells you have an issue, act or be prepared to lose the opportunity to seek correction for the contractor in certain situations. Consult an attorney for important deadlines. There are important rules to follow for the contractor and the owner in the event of a defect or problem with the construction. An opportunity to work together to resolve the issues at hand or at least quantify them and value them exists in the 558 Statute adopted by Florida. Read about Florida Statute 558. Wind 2019 Razzle Dazzle – See You at Booth 320!